On Sunday, February 3, over 100 million people are expected to watch the 53rd Super Bowl, along with the halftime show. The halftime show of the super bowl needed to boost the energy of the fans as the score during half was a low 3-0 with the New England Patriots leading ahead of the Rams. 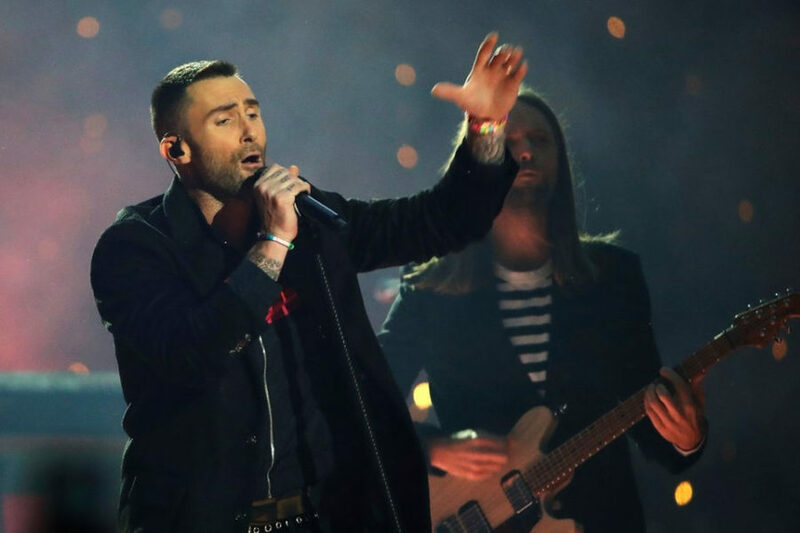 Adam Levine and Maroon 5 came out strong, but then quickly sputtered out by the end of the show, which left everyone in the stadium and at home wanting more. There were some surprises along the way, but overall Maroon 5 fell short and delivered a less than average performance. Adam Levine tried his best and gave it his all during his performance. There were still some highlights of his show and Maroon 5 is still considered a well respected band. There were still plenty of people that enjoyed the show, but others only have negative things to say about is. The halftime show was not a complete disaster, but Maroon 5 did not meet the high expectations of everyone watching.